We all know green tea is a great antioxidant. So imagine a toner with green tea extracts. 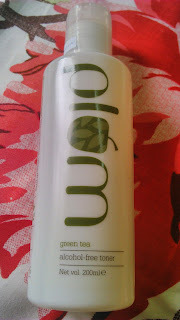 Today I will be reviewing a product which gives the benefits of green tea extract, that is Plum Green Tea alcohol-free toner. Read on to know whether the product is effective or not! Best selling alcohol-free toner astringent toner. Make this an essential part of your skin care refiner for clear, smooth, well toned skin. Take a little toner on cotton and dab on face. Do not rub. 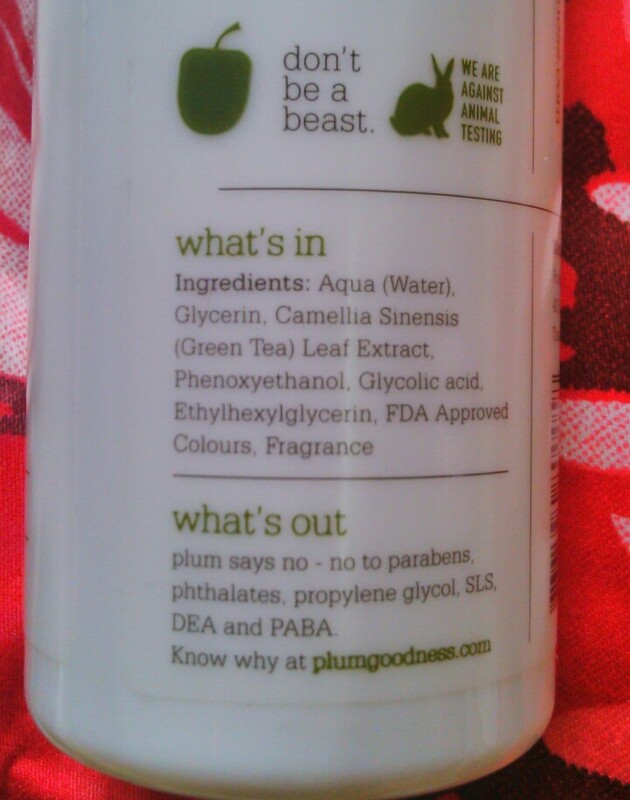 Aqua (Water), Glycerin, Camellia Sinensis (Green Tea) Leaf extracts, Phenoxyethanol, Glycolic Acid, Ethylhexylglycerin, FDA approved colours and fragrances. This is the first time am using alcohol free toner!! I used it after I cleaned my face with a cleansing milk. I took a little amount of toner and dabbed all over my face. The toner is transparent in colour with a strong smell of green tea and added fragrances. 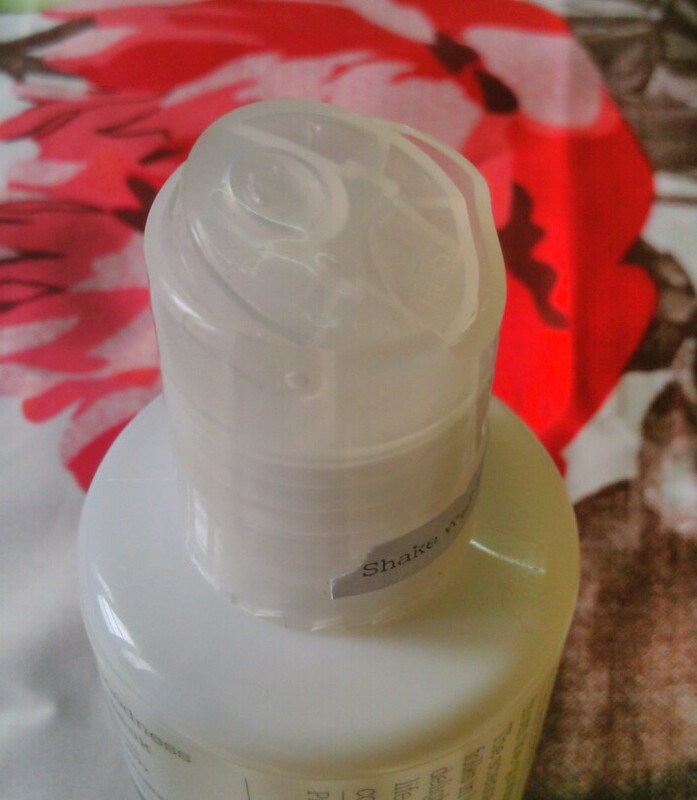 The toner comes with a press button cap and dispenses a little extra toner if the bottle is tilted more. My skin felt instantly fresh after the use and experienced a little tingling sensation. This may be become of tightening of the pores. The fragrance is the only thing which I didn't like about the toner. It's a little strong and lingered for around one and half hour after use. Other than this I find the product very very great. I personally didn't like the fragrance, for others this may not be a problem. Availability - available online at Plum website. Products are also available on Flipkart and Amazon. Repurchase and Recommend - YES!! !